One definition of personalized learning is when students are deeply engaged and invested in an activity they are passionate about, whether it is curricular or extracurricular. When young people explore and develop a passion with a dedicated and thoughtful teacher, staff member or other mentor or coach, the experience can be life changing. Secondary schools provide a wide variety of experiences for students as we understand that this nexus may occur in many different places - a classroom, science lab, wood shop, art studio, music room, in the theatre, the gym, on a humanitarian or extended field trip, or by participating in a club or on a team. 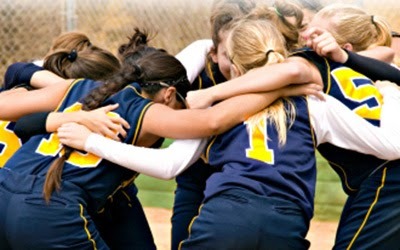 High school sports can be a wonderful way for students to represent their school and create a sense of belonging. School teams, colours, crests and logos engender school spirit and athletics can build a sense of pride and connection for many throughout the extended school community - students, staff, parents and alumni. Participation in a team sport is tremendous for young people. Setting goals and working hard together, training, preparing, sacrificing and pushing through adversity, all help to build determined, resilient people. Occasionally, there are moments of pure exhilaration and joy. The happiness that pervades a group or team after reaching a goal and succeeding, especially against a formidable opponent, is almost indescribable and the bonds that connect champions are life long. More often however, there is humility, heartbreak, disappointment and defeat. There are painful injuries, bad bounces, lost games and, if you reach for your dreams, inevitably, there will be the experience of being cut or released from a team. However, if you’ve persevered, if you’ve kept faith in yourself and your teammates and remained determined, you have succeeded. You will reflect back with pride and a deep sense of accomplishment for having been part of a team. The teachers, support staff and community members who volunteer to coach high school teams provide a tremendous service to our schools. A dedicated coach will contribute hundreds of hours, including evenings and weekends, to lead a team. Many will read articles and attend clinics on their own time in order to improve their coaching skills and understanding of the game. Most coaches will spend hours preparing practice plans, creating schedules, studying game video and scouting opponents. In B.C., all public high school coaches are volunteers. They do not get paid and, indeed, are often out-of-pocket for gas and other expenses. Some do it for a few seasons while others coach for decades and we owe our sincere and heartfelt gratitude to all. Occasionally, a coach may be fortunate enough to see an athlete go on to play for a provincial team or at college or university and, rarely, perhaps a national team. Some years, their high school team may be "ranked" and go on to compete at a provincial championship tournament. However, most high school teams are just trying to improve and compete to the best of their ability and the vast majority of student-athletes will only play recreationally beyond high school, if at all. The best coaches always keep this perspective in the foreground. They understand that the mark of a successful high school athletics program is measured in numbers of participants, not championship banners. Coaches are competitive and student-athletes want to win and sometimes competition reveals more character than it builds, but a good coach understands that she is using the sport as a platform to help build better people. An exemplary coach keeps the desire to win in perspective and remains dedicated to improving the skills, personal growth and enjoyment level of every student-athlete on the team. He understands his position as a role model, treats people with honesty and respect and strives to be a caring, positive influence in the lives of all of his players - as this is always more important than winning. Like many other schools across the province, our school will host several tournaments this year. We are most proud of our "Bob Carkner Memorial Basketball Tournament", a 16-team event for both senior boys' and senior girls' teams that will run from January 16-18, 2014. Formerly the "Purple and Gold Classic", it was renamed to honour former principal Bob Carkner. Bob was an exemplary leader and educator who understood the importance of providing diverse opportunities for students to broaden their perspective. He believed that our mission was to help young people grow, discover their passions and to look beyond themselves. He believed in global education and led students on humanitarian missions to Casa Guatemala and the Lai Thieu Center for the Deaf in Vietnam. He initiated student leadership programs, Pacific Rim studies programs, student exchanges with Japanese schools and he helped create an on site salmon hatchery at his school. He was also an enthusiastic supporter of school athletics and started mini-basketball programs in his community. Bob was recognized as a member of the Order of Canada and received an honourary Doctor of Laws degree from Simon Fraser University. 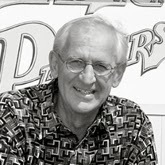 Mr. Carkner passed away at age 73 in 2009. At this tournament that honours the legacy of Mr. Carkner, we hope to see all teams playing hard, competing and trying to win. More importantly, we will be celebrating both girls' and boys' high school basketball and encouraging all participants to represent their schools with the highest levels of sportsmanship and class. Our hope is that we help create positive memories that may last a lifetime. All proceeds from the tournament will go to a Bob Carkner Memorial Scholarship fund established at the school by Mr. Carkner's family. Thanks for sharing this post, Jim. Dr. Bob Carkner was truly an impressive human-being whose impact on Richmond, and throughout the world, is still being felt today. His contributions to the basketball community, though just a small part of his philanthropic life, are too big to measure. To re-name the "Purple and Gold" basketball tournament the "Bob Carkner Tournament" is appropriate. It is fantastic to invite a team coached by one of his sons and includes one of his granddaughters (who, as I am sure you know, are all exceptional human beings). The rich tradition of this first-rate event should result in another exciting and memorable weekend. Special thanks to Les Hamaguchi and the coordinating committee for all the hard work they put into planning it. Good luck to all participants and coaches. As an educator who is both a former high school and UBC basketball player, I appreciate your thoughtful response Jason. Bob Carkner understood the value of all extracurricular opportunities for kids and he inspired and encouraged teachers, staff and coaches to stay involved. I recall him speaking at a district athletic banquet many years ago, thanking all the coaches and remarking how the best response a coach can get is when, years later, you bump into a former student and they are happy to see you and share with you how you made a lasting and positive difference for them. I am sure Bob would have been proud to see his son's and grandkids playing at one of his old schools while his wife and family watched from the bleachers amongst all the spirited fans.